Registration is currently open for members of Asbury and current Asbury Christian Child Development Center families. On Monday, February 2nd registration will open to the public at 9:00 am. Classroom slots will be filled on a first come basis. We are finishing a great school year and looking forward to a fantastic 2015-2016 school year. For more information about how to register your child, click here! 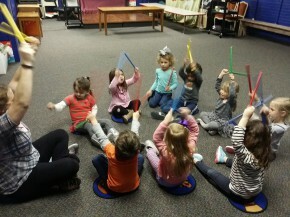 All of our classes (infant—Pre K 5) participate daily in Kindermusik. 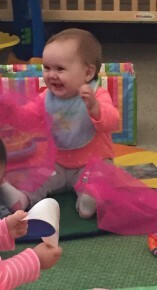 Music matters and promotes school-readiness and impacts all learning domains: Cognition; Language & Literacy; Social & Emotional; Physical; Creative; and Music. ACCDC is excited to offer this opportunity for all of our students.